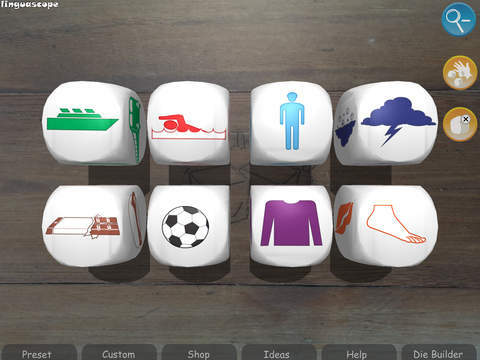 Talking Dice is a unique and creative way to practise language skills at any age or ability, and now available in full 3D! Because they are picture based, the dice can be used to teach ANY first or second language in a variety of ways. Simply select and roll your dice, then use the pictures as the basis for speaking exercises. Excellent for vocabulary practice and storytelling. The app even enables you to create your own dice, using simple text, or pictures from your camera or camera roll. Only your imagination is the limit to the kinds of dice you can make! 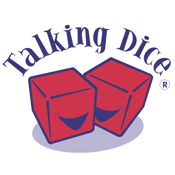 The Talking Dice sets and software are used by thousands of language learners and teachers worldwide. For more game ideas, check out our website at www.talkingdice.co.uk.